For the past twenty five years, the Sea has been a focus of my work. 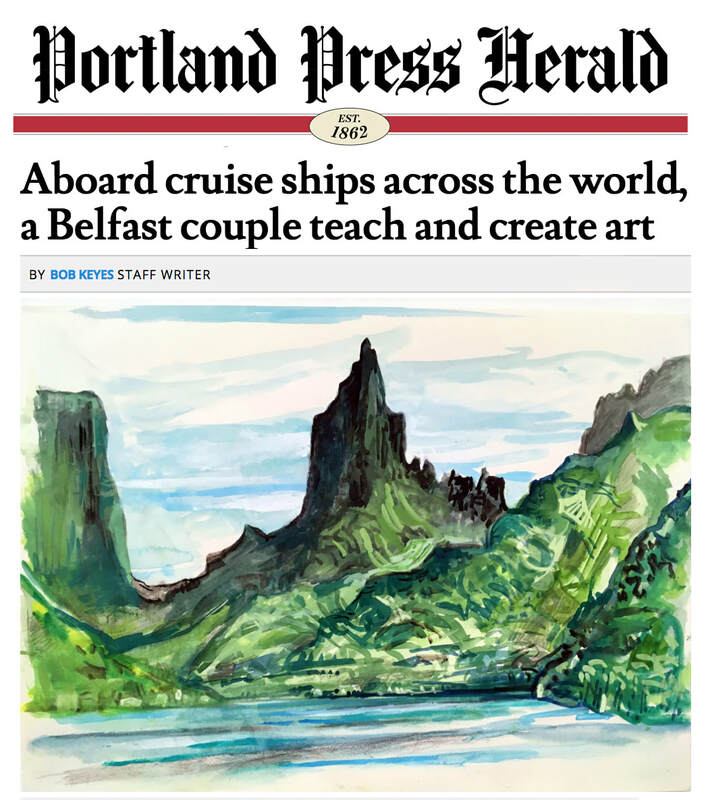 This project represents an ongoing series of installations of paintings created while working on ships around the world. For the past four years I have had the good fortune of sailing with Celebrity Cruise ships on ships as an art history lecturer. 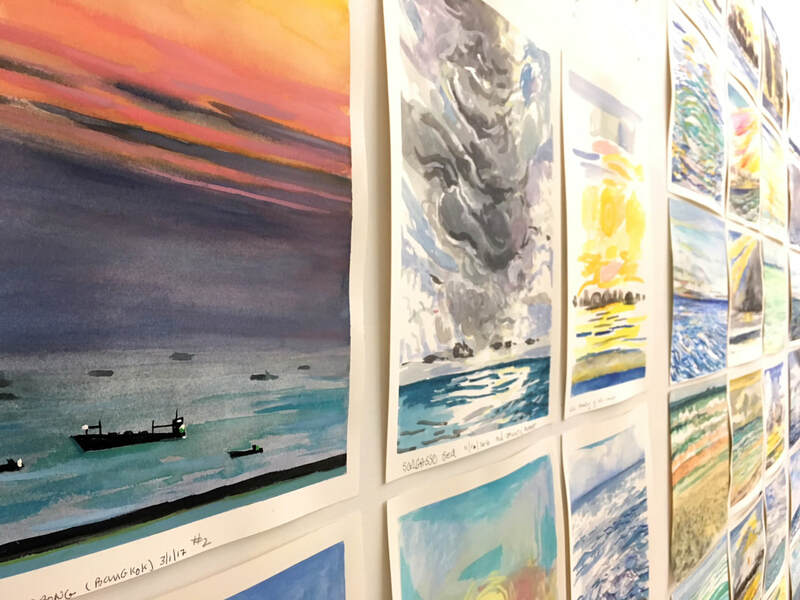 During these years I have created more than 300 watercolor paintings which reflect this extraordinary journey, from the Caribbean to Southeast Asia; Helsinki to Israel; Abu Dhabi to Singapore; and numerous crossings of the world's oceans. The paintings capture moments that express the magic and beauty of our watery planet. It continues to hold me in its spell.